"[Is t]here is a possbility to color some specific edges in the phylomorphospace3d()? plot.phylo() has the argument "edge.color" to do that in classical tree plotting. I need it, however, in the above mentioned function." This functionality (as well as the ability to plot a stochastic character map on a phylomorphospace) exists for two-dimensional phylomorphospace plotting, but it did not (until now) exist for phylomorphospace3d; however, this was not too difficult to add. I have added user control of plotted line colors via the control parameter col.edge (as in phylomorphospace), rather than via a new function argument. Code for this new function version is here; but users may prefer to install the latest bleeding edge source version of phytools (phytools 0.4-14) to ensure that everything works as advertised. 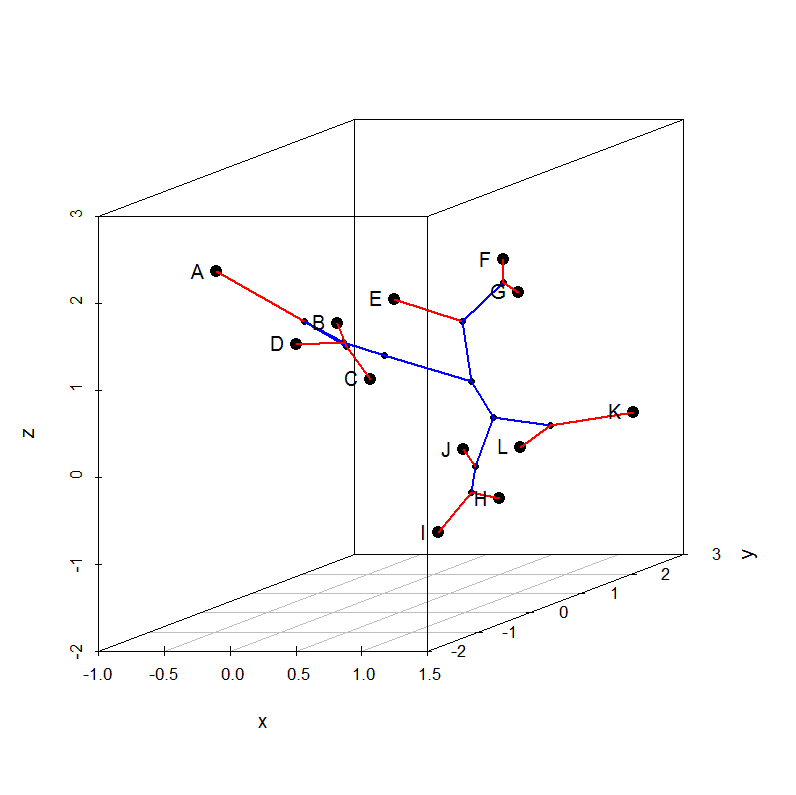 col.edge <- sapply(simmap.tree$mapped.edge[,2], function (x) if (x>0) "red"
The "color" argument should be passed to the "scatterplot3d" function, but it doesn't work.. Am I missed something here, or the "phylomorphospace3d" can only plot black tips?